When asked about which account you want the ReportServer Windows service to run under, I left this at NT AuthorityNetwork Service, and I left the service at Auto-start. Use SSL: This was ticked, but I unticked it, because I don’t have SSL configured. I left all those as-is. There were 1 or 2 other items to fill in, but they are straight forward. Installation then runs though. 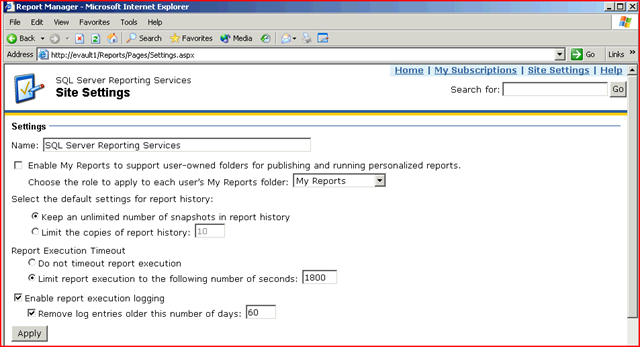 Need to try and make sure the installation fails, so let’s try configuring “My Reports” first of all. On that screen tick the box for enabling the reports, and click Apply. This is just a small (20 Mb) executable to run. It is listed as a pre-req for EV Reports so rather than suffer any problems, or a failed installation because of that, I installed that. Then re-run the setup.exe from the EV installation CD. 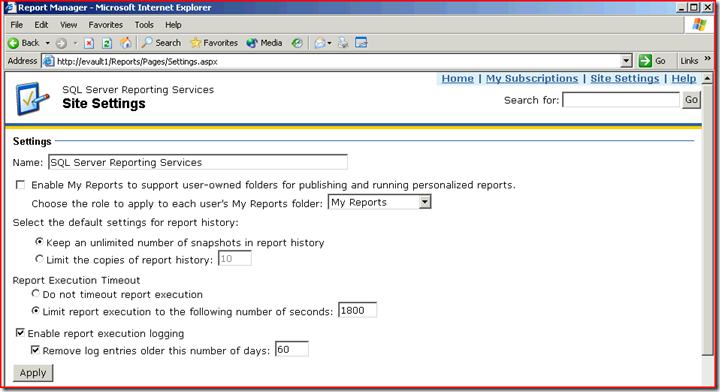 This then gives the option (as a tick box) so that you can install reports. 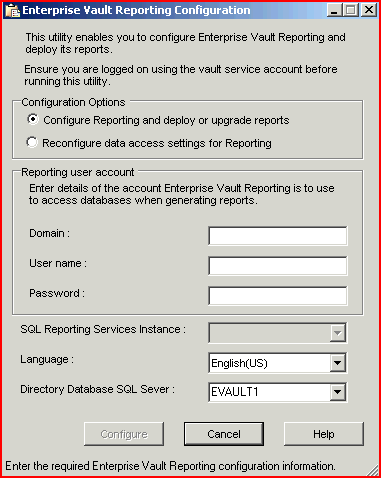 I used the Vault Service account on this screen, though I really suspect that I should use something else. I can check that in the Installation Guide. System.Web.Services.Protocols.SoapException: System.Web.Services.Protocols.SoapException: The value for parameter ‘Item’ is not specified. It is either missing from the function call, or it is set to null. —> Microsoft.ReportingServices.Diagnostics.Utilities.MissingParameterException: The value for parameter ‘Item’ is not specified. It is either missing from the function call, or it is set to null. 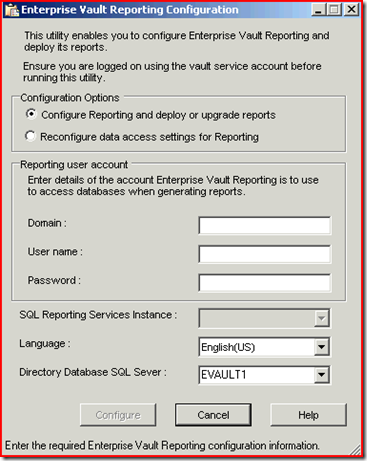 I am trying to set this up right now, but i cant find the sql 2000 reporting service install any where. can you point me in the right direction? That’s the eval version, I think. I got my normal/ordinary version from an MSDN subscription from what I remember.